Renowned executive in Construction Industry in 2014. 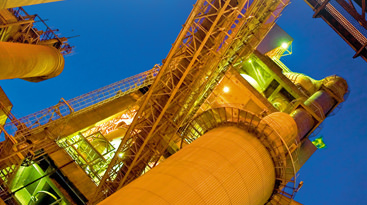 Porto Velho unit in Brazil for pozolanic cement production. Criteria evaluated: a) Growth policy – investments in new projects or expansions; b) Technological innovations or modernizations; c) Environmental policy – compatibility of the production activity with the conservation of the environment; d) Human resources policy and community relations. Launch of new cement portfolio – one type of cement for each type of construction project. Walter Dissinger was elected for the third time the “Valued Executive” in the Construction Industry in the 17th Executivo de Valor Awards, presented by the Valor Econômico newspaper. The award recognizes the best business managers in Brazil, in 23 economic sectors.